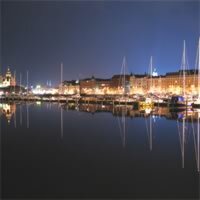 Surrounded by water on three sides and fringed by islands, Helsinki grew up around a natural harbor overlooking the Gulf of Finland. 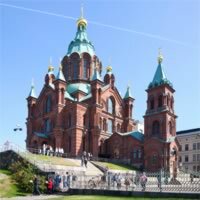 A city of wide streets, squares, and parks, adorned with sculpture, Helsinki was one of the world's first planned municipalities and is noted for its 19th-century neoclassical architecture. 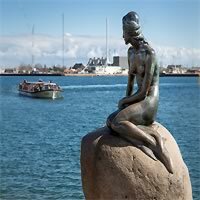 It is a city of bustling, colorful market squares and halls, of outdoor summer concerts and sports events, of seaside parks, of excellent cafes and restaurants and cutting-edge art in fine museums. It is also a pleasantly compact city, with many of the attractions in the central districts, within easy reach of one another. A city of wide streets, squares, and parks, adorned with sculpture, Helsinki was one of the world's first planned municipalities and is noted for its 19th-century neoclassical architecture. 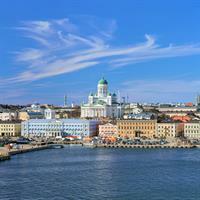 Combine Helsinki and Rovaniemi with a flight between cities. Make the most of your vacation package through Europe! Visit Stockholm and Helsinki with a flight between cities. 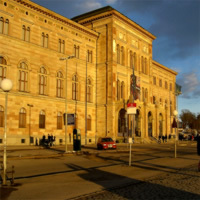 There is no shortage of museums, churches, parks, historic sights or activities to explore in these fascinating cities. This is a flexible vacation package. Select your number of nights in the city, desired hotel and activities. Visit two incredible, popular cities in Europe with this vacation package! Begin your adventure in London (Royal palaces, manicured gardens and a buzzing energy) and fly to Helsinki (wide streets, plazas and parks full of sculptures). This is a flexible vacation package. Select your number of nights in each city, desired hotel and activities. Combine Helsinki, Rovaniemi, Kemi, Oulu, Tampere, Turku amd Helsinki with the IC and RE Trains. All flights and hotel. This is the fourth or fifth time we've used your website. We love it!